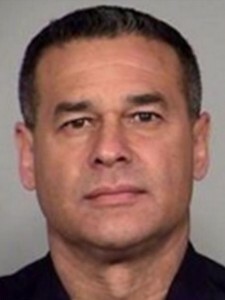 San Antonio police detective Benjamin Marconi was fatally shot in his vehicle while writing a ticket. The 50 year old, 20-year veteran Marconi was sitting in his patrol car when a black vehicle pulled up behind him and the driver got out, walked up to the detective’s window and shot him in the head. The suspect reached into the window and shot Marconi a second time. Police said Marconi was pronounced dead at San Antonio Military Medical Center around 12:30 p.m. CT Sunday. This nonsense has got to stop. Why shouldn’t this be deemed a hate crime? A Texas detective was shot and killed while writing a traffic ticket outside of police headquarters late Sunday morning. Later Sunday, two other officers were wounded in incidents in Florida and Missouri. UPDATE I: Police release description of suspect and vehicle. “This type of crime cannot and will not be tolerated. I ask for the community’s thoughtfulness and patience as the investigation continues and SAPD searches for the suspect,” she said. McManus said the suspect is a black male around 5 feet 7 inches to 6 feet tall in height, wearing a gray sweatshirt and black baggy pants. The suspect also has a beard, KENS reported. 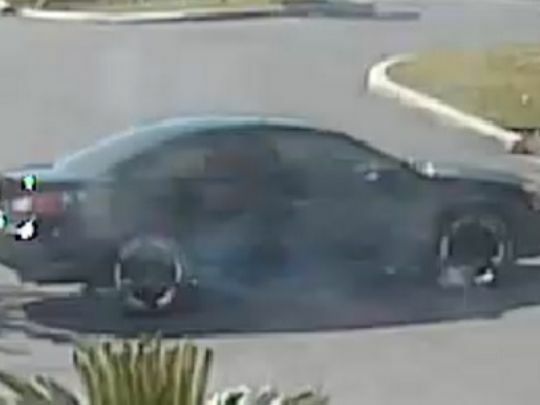 San Antonio police released an image of the vehicle that was seen leaving the scene, as well as a person of interest who they said may have information in the shooting. 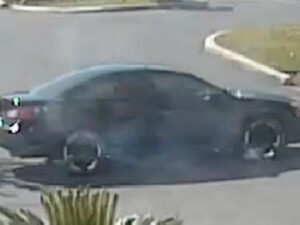 Crime Stoppers in San Antonio is offering a reward of up to $10,000 for information leading to an arrest of the suspect. UPDATE II: Four police officers shot in US cities. How did we get to a point in the United States where such a thing could happen. There was a time in this country where randomly shooting a police officer would be considered unheard of, and it was not all that long ago. 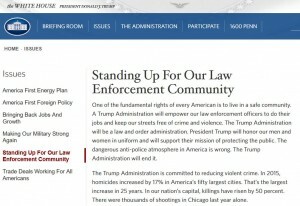 One policeman was shot dead and three others shot and wounded in four US cities on Sunday, coinciding with an epidemic of racially-tinged gun violence involving law enforcement. Police were shot in San Antonio, Texas, Sanibel, Florida, and in the Missouri cities of St. Louis and Gladstone, local police departments said. There was no known connection between the shootings. In San Antonio, authorities were hunting for a suspect who fatally shot 20-year service veteran Detective Benjamin Marconi twice in the head after being pulled over in traffic in front of police department headquarters. A police officer in Sanibel, on the picturesque island of the same name off the Florida coast, was shot and wounded during a “routine” traffic stop, officials said. The suspect, who has been arrested, drove by and shot the officer after he had stopped another driver, Sanibel Police Chief Bill Tomlinson was quoted as saying. In St. Louis, a suspect shot a police sergeant through his rolled up window as he sat in a marked police car in slow traffic. In western Missouri, another police officer was shot in Gladstone but was expected to live, the Kansas City Fraternal Order of Police said on Twitter. The condition of the suspect was unknown. WHO-TV is reporting that two police officers were killed overnight in what is being called as an “ambush-style attack” in Des Moines, Iowa. The incident started at 1:06 a.m. Wednesday with a report of shots fired near 70th and Aurora. The first officer who arrived at that scene found an Urbandale police officer suffering from a gunshot wound. About 20 minutes later, a Des Moines police officer was found shot at the intersection of Merle Hay Road and Sheridan Drive. 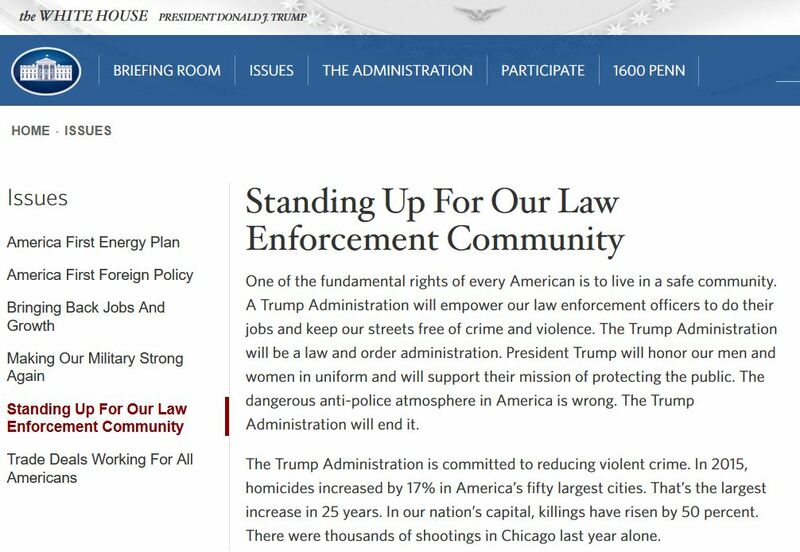 The names of the officers who were killed have not been released at this time in order to contact and notify their families first. So far, there has been no information about a potential suspect or suspects released by police. There have been no information on a suspect and no arrests have been made at this time. According to Des Moines police the incident started at 1:06 a.m. Wednesday with a report of shots fired near 70th and Aurora. The first officer who arrived at that scene found an Urbandale police officer in his patrol vehicle, suffering from a gunshot wound. Twenty minutes later a Des Moines police officer was found shot in his patrol vehicle at the intersection of Merle Hay Road and Sheridan Drive. Both officers have died from their wounds. Des Moines Police are describing the shootings as ambush-style attacks. Streets at both shooting scenes are closed as officers investigate, and classes have been canceled at Urbandale schools today. In Urbandale, the intersection of 70th Street and Aurora Avenue is closed, and in Des Moines, Merle Hay Road is closed between Urbandale Avenue and Hickman Road. Police had no information on suspects as of 5 a.m. They could not say how many shots were fired or how many people may have been shooting. 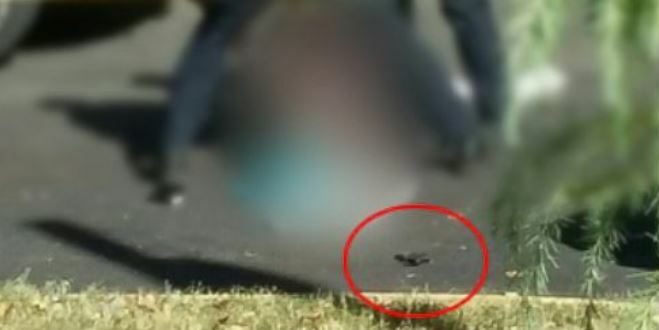 ABC News is reporting that police in Charlotte, NC have confirmed that video shows that Keith Lamont Scott had a gun in his hand during the altercation with police officers before he was fatally shot. Initially, the family stated that Scott was carrying a book. Hmm, so much for that false narrative. When the Scott family was asked if the video they saw matches what police has described, their attorney replied, “No comment.” So once again are we being provided with a riot in the streets as a result of a made up false narrative from the media and trouble making, race-baiting thugs? Charlotte-Mecklenburg Police Chief Kerr Putney stated that he would not release the tape until the investigation was over. Hot Air states that Senator Tim Scott (R-SC), the only black Republican in the Senate, says he believes it would be helpful if Charlotte, North Carolina authorities would publicly release video of the shooting of Keith Lamont Scott. It might, but then again, those with a race-baiting, anarchy agenda, don’t care about the facts or the truth. They are just their to cause trouble. The family of Keith Lamont Scott has reviewed the video that shows the moment when police fatally shot him in North Carolina on Tuesday, the family’s attorney said. Earlier, Putney reiterated that he has no plans to publicly release the video, arguing that it would jeopardize the integrity of the investigation. “We release it when we believe it is a compelling reason, but I’m not going to jeopardize the investigation,” he told reporters. Whether he was pointing a gun or not, WHY THE HELL DID HE HAVE A GUN? I thought it was a book?